Bonita Springs Home Insurance Quotes on the Web! Save Up to 50% or More on Your Bonita Springs Home Insurance! 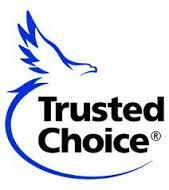 Welcome to The Insurancenter – proudly offering the most superior Bonita Springs home insurance solutions available. The Insurancenter is the largest personal lines insurance agency in Southwest Florida, and has been serving customers needs since 1987. As an independent insurance agency representing 33 different home insurance carriers, we guarantee the best option for your home insurance. If you get a lower quote from another agent through one of these carriers, call us right away! This is a common RED FLAG that indicates a serious gap in coverage.